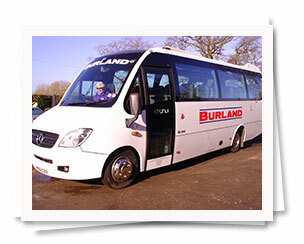 We run a fleet of 5 x 16 seater minibuses to transport you to any destination. 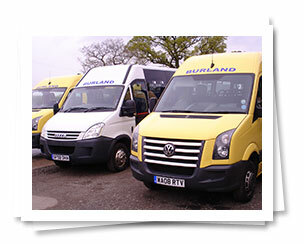 Burland are please to display their new addition to the fleet here at Burland. A 29 seater coach with air conditioning. A professional, corporate image with beautiful upholstery and three point straps for our customer's safety. 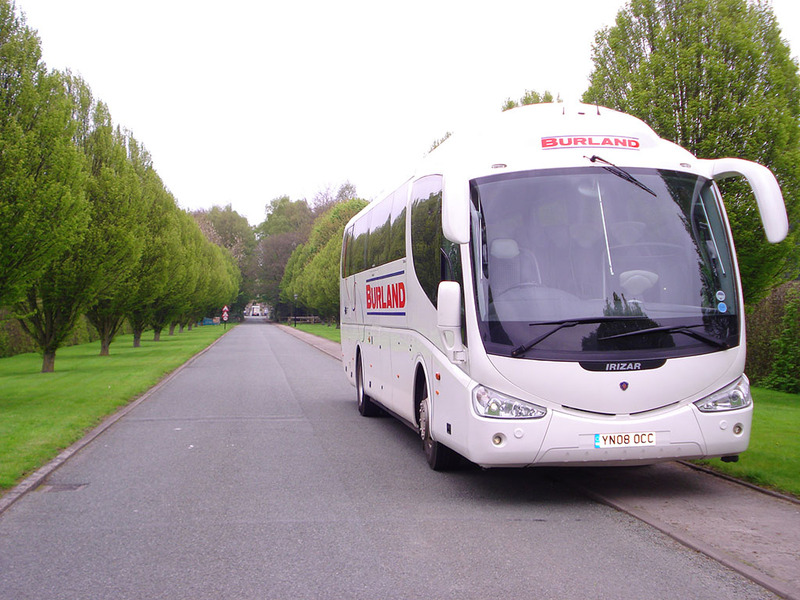 Through popular demand we have extended our fleet with an Executive 50 seater Coach which includes air conditioning, toilet facilities, a coffee making area and cool box and two 53 seater coaches, both with air conditioning. 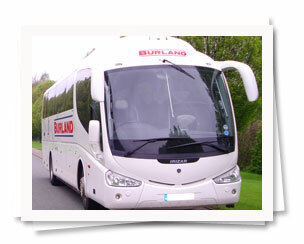 Burland are pleased to announce the arrival of their executive coach. This has a toilet, air conditioning, drinks facilities, and has the corporate image that today's travellers always enjoy. 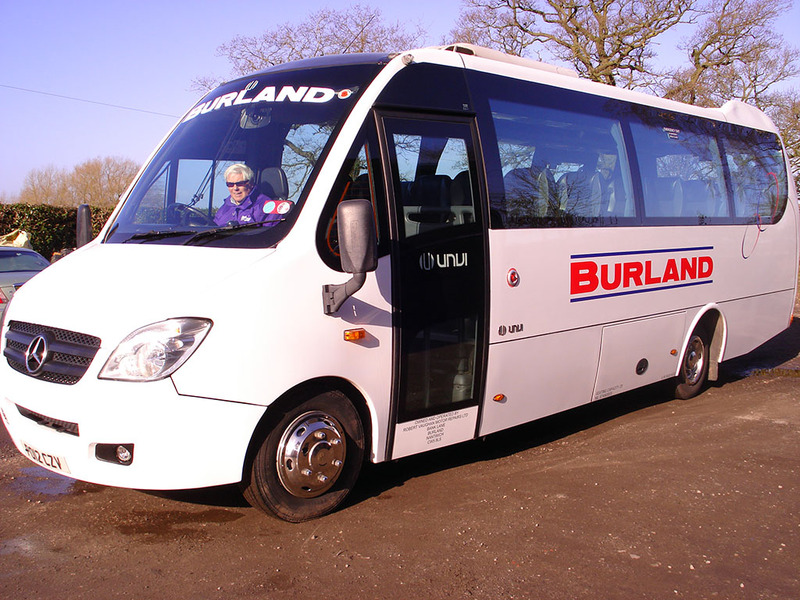 Judith at Burland Coaches welcomes any customer to view the coach at any convenient time just phone to ensure the coach is available. Every seat on all of our fleet is fitted with a seat belt for your safety. We comply with all laws and County Rules for the safe transportation of you, our passengers. This is our number one priority. All our drivers have been checked by the Criminal Records Bureau. We have six contracts with Cheshire East and West Countie to complete school runs and a further six other school contracts.